Find Out How to Qualify for Up To $4,000 Per Year in Tuition Assistance! In 2019, one of the best ways to raise money to pay for college is by taking part in the Federal TEACH Grant Program, which allows you get grant money that you will never have to pay back, as long as you follow the program’s guidelines. TEACH Grants provide college money to students who agree to take colleges courses required to become teachers, and who furthermore agree to actually become working teachers in high-need fields serving in low-income areas. Federal TEACH Grants are one of the most reliable ways to reduce your student loan debt, but like all of the other Teacher Loan Forgiveness Programs, TEACH Grants do require a committed effort in order to qualify for the benefit. The one nice thing about TEACH Grants is that even if you do fail to live up to the service commitment required by the program, instead of being heavily penalized for it, your TEACH Grant will simply be turned into a Federal student loan. This Guide explains everything you need to know about TEACH Grants, including who is eligible for them, what the requirements for getting them are, how to apply for one, how to complete the annual certification requirement, and much, much more. What’s Special About TEACH Grants? How Can I Get a TEACH Grant? Who is Eligible for TEACH Grants? What Programs are Eligible for TEACH Grants? What Counts as a High-Need Field? Can I Cancel a TEACH Grant Service Obligation? Can I Receive Multiple TEACH Grants? After reviewing this Guide’s content, if you have any questions about how TEACH Grants work, please ask them in the Comments section at the very bottom of this page. I review Comments on a daily basis, and will respond as soon as possible. Do NOT try to email me or contact me on Facebook, because I will NOT answer any questions off this site! Let me offer you one quick word of advice – TEACH Grants are great for people who have’t already accumulated debt, but if you’ve already racked up student loans, then you may need to look at other options as well. What Makes TEACH Grants (Teacher Education Assistance for College and Higher Education) So Special? 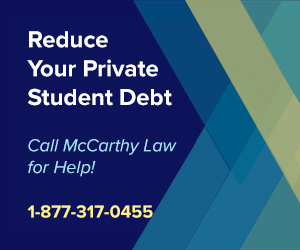 TEACH Grants are unlike any of the other popular Federal Student Loan Debt Relief Programs on offer, in that they provide assistance BEFORE you’ve generated any student debt. 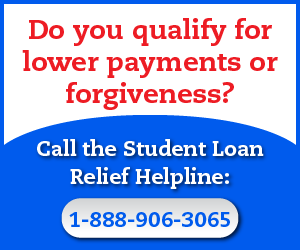 Unlike the typical Loan Forgiveness Program, which requires you to take out student loans, then work toward qualifying for debt relief after you’ve graduated, TEACH Grants allow you to avoid loans entirely by funding your education in the form of a Grant that does NOT have to be paid back – as long as you fulfill your service commitment. The service commitment is the trick to the TEACH Grant Program, in that you can only qualify for the Grant if you promise to work as a Teacher in a specific field, and in a low-income area, but it’s honestly not very difficult to satisfy. In return for completing the service commitment, Federal TEACH Grants offer up to $4,000 per year to students who who have enrolled in the program and appear to be on the way to completing all of the required coursework needed to begin their career as a teacher. Keep in mind that if you do not complete each of the steps outlined in the TEACH Grant Agreement to Serve then your TEACH Grant will be automatically converted into a Direct Unsubsidized Loan, which you will be responsible for paying back in its entirety. 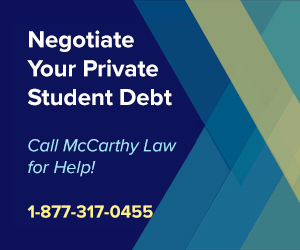 If this should happen to you, not only will you be responsible for paying back the amount of money that you were granted, but you’ll also be charged interest on the loan starting from the date that your TEACH Grant was initially disbursed. This means that you could end up owing tens of thousands of dollars if you do not satisfy all of the conditions of the TEACH Grant requirements, so the most important part of the process with TEACH Grants is to avoid signing up for one unless you’re pretty sure that you can complete the service obligation requirement. Who is Eligible to Receive TEACH Grants? Not everyone is eligible for participation in the TEACH Grant program, but compared to other comparable grant programs offering similar amounts of money, TEACH Grants are actually pretty easy to qualify for. Again, this is one of the easiest Grant programs that I know about, as compared to other grant programs that offer similar levels of funding, these requirements are fairly easy to satisfy. Not all college degree or certificate programs (even accredited and respected ones) are eligible for participation in TEACH Grant program. Only those programs that lead to a Bachelor’s or Master’s Degree, or which are part of a Postbaccalaureate program, and which are designed to prepare you to teach as a “highly qualified” teacher in a “high-need” field will qualify for TEACH Grant assistance. Two year programs (Associate’s Degree programs) that are acceptable to be applied for full credit toward a Bachelor’s Degree are eligible for participation in the TEACH Grant program, but a Postbaccalaureate program is NOT eligible for receiving TEACH Grant money if your school also offers a Bachelor’s Degree in Education. Keep in mind that the same program at two different schools may not always be eligible for the TEACH Grant program, since the schools themselves are allowed to determine which of their programs will be supported by TEACH Grants. Which brings up an important point – how can you tell if your program is eligible for a TEACH Grant? The fastest, simplest and easiest way to be certain is to contact the Financial Aid officers at your school and ask them which programs qualify. The TEACH Grant Agreement to serve is like a contract that you must sign before you can get any funds. The way this Agreement works is that you have to certify your participation each year, which basically tells the Department of Education that you’re still on track toward completing your service agreement, and which protects your grant from being converted into a loan. You can find the Teach Grant Agreement to serve, along with the required TEACH Grant Counseling Courses at the official TEACH Grant website, here. Once you’ve signed the TEACH Grant Agreement to serve, however, remember that you’ll certainly want to live up to the conditions of that agreement because failing to do so will cause your grant to be converted into a loan. The key thing to think about when deciding whether or not a TEACH Grant is right for you is to determine if you’ll truly be able to complete all the required certification pieces. If you aren’t going to complete the certification process, then you should probably just take out a regular Federal Student Loan to pay for your college costs instead of bothering with a TEACH Grant at all. The last point above is the process of “Certification”, which the Department of Education recently updated to require annual certifications for all TEACH Grant recipients. According to the new rules, which began in 2019, there is now only a single certification date: October 31st. The way this works is that each year you must submit documentation showing that you’ve completed a year of qualifying teaching service (if you’ve graduated), or you must sign a new statement that says you still intend to complete your service obligation (if you’re still in school). You provide this certification statement to FedLoan Servicing, the official servicer for the TEACH Grant Program, and again, it has to be provided to them by October 31st each year. 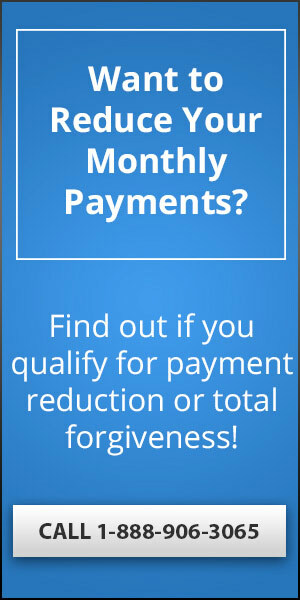 If you fail to provide the certification to FedLoan by October 31st, you will have a sort of grace period where they initially send out reminders to warn you that your grant is in jeopardy, but if you fail to respond to those quickly enough, your laon will be automatically converted into a Direct Ubsubsidized Loan, which you’ll be responsible for paying back (with added interest!). What Counts as a “High-Need” Field? Other fields may have been added to the ‘high-need’ list since this article was published, so to check if they’re included in the annual Teacher Shortage Area Nationwide Listing, click here. If you’d like to count your service in one of the fields identified in the Teacher Shortage Area Nationwide Listing document, make sure that the field is listed for the state where you are teaching at the time you begin your qualifying TEACH Grant service, or at the time that you receive your TEACH Grant. If that field is NOT listed for the state at either of those two times, then you will be found to be in breach of contract and your TEACH Grant will be automatically converted into an unsubsidized loan that you’ll be forced to pay off (with interest!). If you aren’t sure that you satisfy this requirement, then please contact your school’s financial aid adviser for clarification. Can TEACH Grant Service Obligations be Cancelled? Fortunately, if something goes terribly wrong during the process of completing your service obligation, there is a way for you to request a temporary suspension of the eight-year period allotted for you complete your required four years of eligible teaching. Please note that suspensions don’t last as long as your new degree program, your medical condition, or your call to duty does, but that, in fact, they are only granted in one year increments. You may not receive more than three years of combined deferments in your eligibility period for enrolling in a new educational program or taking medical leave, and you can not receive more than three years of deferments for military service either. If you do receive a suspension in your TEACH Grant service obligation, the eight year period that you have to complete your end of the contract is simply put “on hold” during that suspension period, but the clock begins ticking again as soon as that suspension runs out. As an example, if you receive a two year suspension for your service obligation after one year of the eight-year period has already passed, you will have six years to complete your obligation after the suspension ends. The important thing to remember is that a suspension of your service obligation doesn’t cancel it, it just delays your deadline. The only reasonable way to receive a complete discharge of your service obligation is to be called or ordered to qualifying military active duty for a period that exceeds three years. During the previous decade, this might have been a possibility, but with the wars in Iraq and Afghanistan winding down, and no major threat on the horizon, it’s highly unlikely that you’ll be able to fulfill this condition of the obligation in the near future. Other than that, there are only a couple ways to completely discharge a TEACH Grant service obligation, and frankly, none of them are worth it. Only if you die or become totally and permanently disabled (read about that here) will you be able to get out from under the contract of your service obligation, so do not go into this program with any expectation (or hope) that you will be able to avoid paying back your grant. Yes, you can receive TEACH Grants for each year that you’re studying, but you can also open up what would be considered two separate TEACH Grant service obligations by receiving one or more TEACH Grants for your undergraduate education, and one or more TEACH Grants for your graduate education. One major benefit to pursuing this strategy is that even though you’ve opened two service obligations, you’ll be able to double-count your actual teaching time after graduation, and will only have to teach for four total years to satisfy the requirements of BOTH TEACH Grant service obligations. Did you read that? Using this strategy, you can get TWICE as much benefit for the SAME amount of work, as long as you plan things out properly. Don’t forget about this, because it could stand to save you tens of thousands of dollars, or multiple years of teaching at an assignment you wouldn’t otherwise have kept. The first step in the process is to visit your school’s financial aid office to make sure that they are a participant in the TEACH Grant program. Remember, not all schools offer this service, and if your school doesn’t participate in the program, then you will not be able to take advantage of these benefits. Once you’ve confirmed that your school does, in fact, participate in the TEACH Grant program, you will need to apply for a TEACH Grant by filling out a FAFSA, which you can do here. To fill out your FAFSA, you will need access to a Federal Student Aid PIN, which you’ll have to create by visiting the official Federal Student Aid PIN website here. As part of the applications process for receiving a Federal TEACH Grant, you will need to complete TEACH Grant Initial and Subsequent Counseling and fill out an Agreement to Serve (ATS). The TEACH Grant Initial and Subsequent Counseling process introduces you to the TEACH Grant program and the TEACH Grant service obligation. It’s basically a briefing process to make sure that you know what you’re getting into. You will need to complete the counseling process each year that you receive a Federal TEACH Grant. Each section of TEACH Grant counseling is followed by a quiz to make sure that you completely understand each of the requirements of the process, and so that you can’t later on say “I didn’t realize that I had to do all this” if you decide that the program isn’t right for you. Completing the entire counseling process should only take 45 minutes, and you can save your process as you work through the session, but if you click the LOGOUT button before completing all of the required steps then you will have to start over. To start your TEACH Grant counseling, visit the official website here. Once you’ve completed the TEACH Grant Initial Counseling course, you’ll need complete your TEACH Grant Agreement to Serve (ATS) paperwork. This is a simple document that you’ll need to fill out to officially request a TEACH Grant, and legally enroll in the program. Once you’ve signed this document, remember that you will be obligated to complete the service obligation or your TEACH Grant will be converted into a loan. Do NOT sign this document if you are not serious about completing the required service obligation, because you will seriously regret it down the line. Remember that you need to sign a new ATS each and every year that you require TEACH Grant funds, and that you must complete either the Initial or Subsequent Counseling program each year before you’re able to fill out the ATS. You can find and complete the TEACH Grant ATS paperwork by logging into the official website here. I’ll explain each of these updates below. 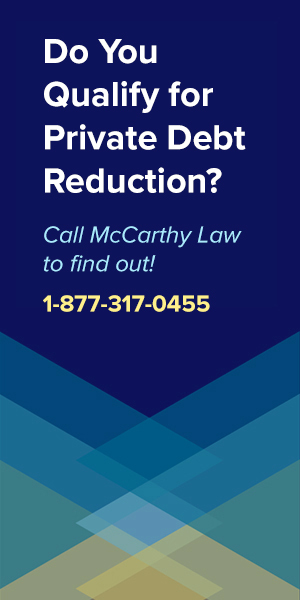 Who Can Request a Reconsideration of a Converted TEACH Grant? If you received a TEACH Grant, but forgot to complete one of your annual certifications, and had your Grant converted into a Loan, then you may be eligible for a second chance at turning it back into a Grant. This will only work if you actually met or are still meeting the TEACH Grant Service Obligation requirements, and your Grant was only converted into a Loan because you failed to complete one of the certifications. The Department of Education is still working on figuring out how this process will work, and has promised to release new information shortly. Check back soon because I’ll update this page as soon as the new details emerge. Way back in 2011 Congress passed a new law that TEACH Grants disbursed in the far future (2017, 2018 and 2019) would have to be reduced in order to save enough money to keep funding this program. There are two time periods where reductions were put in place, so depending on when you got your Grant, you’ll receive either a 6.6% or 6.2% cut in funding. My advice for anyone who is looking to get a TEACH Grant? Either wait until AFTER October 1st, 2019 for funding, or simply eat that $248 cut knowing that it’s not really a big deal. One final requirement of the TEACH Grant program is that after you’ve completed the program your TEACH Grant was provided to fund, you must provide your Grant servicer (FedLoan Servicing) a statement certifying that you plan to meet your service obligation. This is fairly straightforward, and is a double-check that you still want to finish up the program, which will prevent your Grant from being converted into a Loan. The requirement is that you either need to prove to FedLoan that you are already employed as a full-time teacher, in a position that satisfies the service agreement, or that you are not yet employed but still plan on fulfilling your service obligation anyway. The nice thing about this process is that while it’s a bit of a pain, FedLoan will give you a reminder when it’s time to submit your 120-day certification. Where Can I Go to Ask Questions About TEACH Grants? 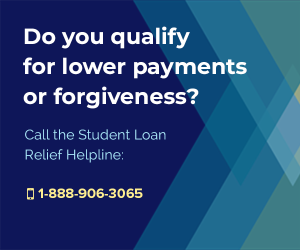 FedLoan Servicing has set up an official TEACH Grant hotline at 1-800-699-2908, so if you have any questions about the Program, I highly advise calling and asking them for details. Apparently this hotline is staffed from 8am to 9pm EST, Monday through Friday. 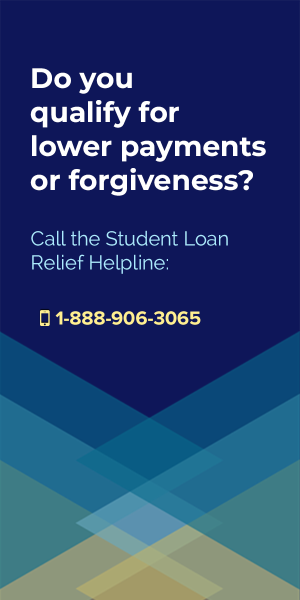 Where Can I Ask Other Questions About Student Loan Debt? 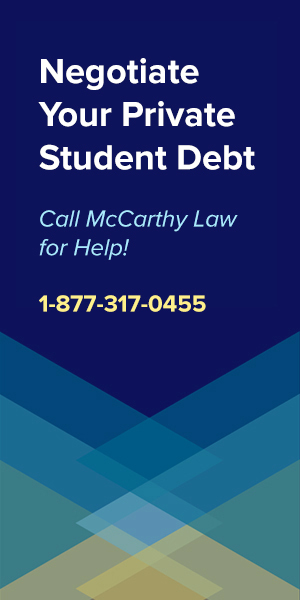 If you have questions about anything related to student loans, the odds are pretty good that you can find the answers in one of my other Guides. For any other questions about student loans, please do feel free to ask in the Comments section below. I review comments daily, and will try to get you a response within 24 hours. I pull information for these Guides from all sorts of sources around the web, but the best and most trusted website on anything related to student debt is certainly the Federal Government’s Official Student Aid website. Was this page useful to you? If so, please consider helping me back by sharing it with your family and friends! 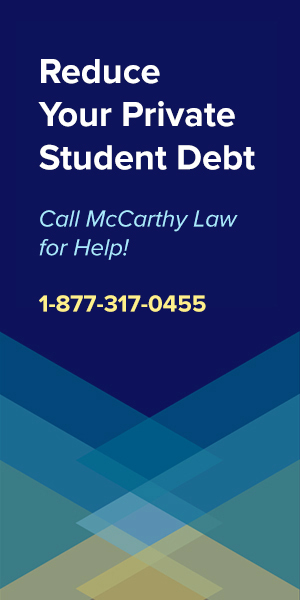 Post a link to Facebook, Twitter, Reddit or any other Social Media platform, or email my link to anyone you know who may be struggling with student debt! The more people that visit my site, the more time I can dedicate toward sharing money-saving tips and tricks. Thank you for visiting, and please be sure to come back soon. Where are these teaching assignments? Is there any help to find an assignment or are you totally on your own? Just wondering what happens if you begin teaching in a school that meets the requirements of the TEACH grant and then you are pink slipped or laid off from your teaching job? That’s a really good question, and I think that you will lose your eligibility during any months you’re not working full-time, as that’s basically how the requirements are counted. 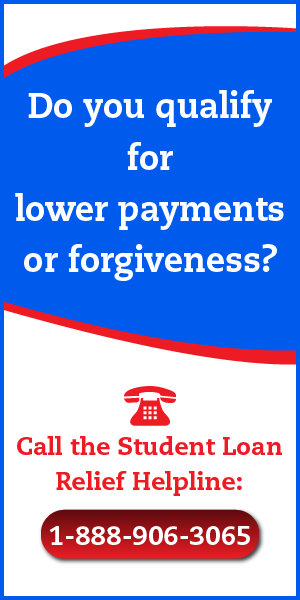 To verify, I would suggest contacting the Student Loan Ombudsman Group and asking them for clarity. 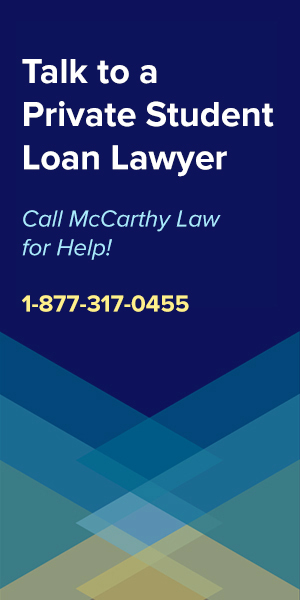 Google their name for their contact info, and rest assured that they are a legitimate authority on the matter, as they’re a Government-backed, FREE group of attorneys who provide advice on legal issues related to student loans. Please let me know what they say so we can post the answer in these comments in case it happens to anyone else! IF I were only able to teach two of the four years required, would I receive any credit towards the loan? Would the full amount be due as if I had not taught any of the requirement or would I receive half credit? As far as I know, there’s no benefit to partial completion. Thanks for the tip on doubling up on taking out two TEACH Grants at the same time. I’m half-way through my service obligation and while I know I could be making a little more in a better school district, I’ve saved $16,000 from my TEACH Grants!!! Is this two for the same program of Study, or is it a different program?